The Wilmington Dining Set by Fairmont Designs exudes simplicity with elegance to easily fit into any home decor. 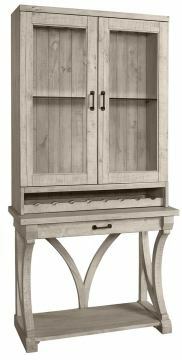 Each piece is meticulously crafted from solid acacia hardwoods including special features such as an artfully designed table and wine cabinet base with curved lines and an open style. 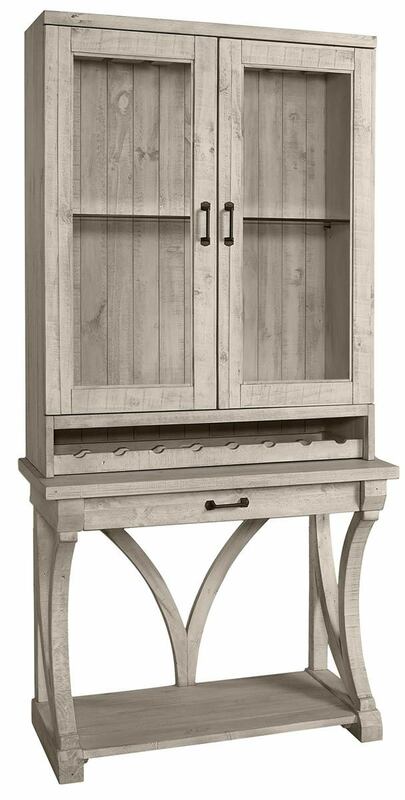 Complementary metal hardware accents each door and drawer within the Wilimington Dining Set. The handsome Willmington Dining Collection contains: a Rectangular Gathering Table, Swivel Stool, Backless Stool and a Two Door Wine Bar Cabinet. Top-notch craftsmanship is showcased in the Wilmington Dining Furniture Set featuring English & French Dovetail joinery for quality and endurance, ball-bearing drawer guides for smooth operation and a light and airy stain on each Wilmington dining piece brings out the beauty of the acacia wood. Fairmont Design's Wilmington Dining Furniture Collection will add a hint of refreshing ambiance to any living space for years of enjoyment!